If you're searching for the perfect Christmas gift for the Liverpool fan in your life, then look no further than LFC Official Membership. With a range of tailored packages available for Reds of all ages and in any location around the world, which all come with a Membership Pack for them to open on Christmas day, why not give the gift of Membership to a loved one this festive season? The benefits of officially welcoming them in to the LFC family are extensive - including access to tickets in the Additional Members Sale before every home league game and discounts for LFCTV GO and in club stores and online. There are regular competitions and exclusive offers for Members, and a dedicated LFC microsite which provides unique content to bring supporters even closer to the club. A variety of Membership options are available - including junior and an international offering - all designed specifically to keep fans fully up to date with everything going on at Anfield. 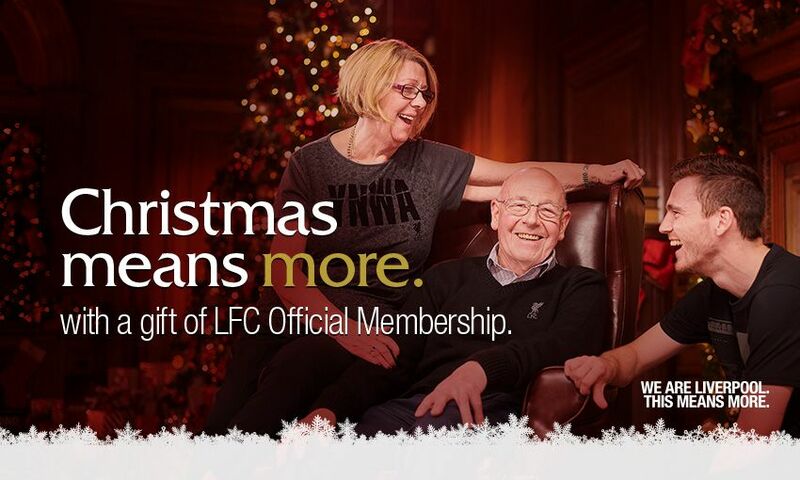 For more details about the benefits of LFC Official Membership and to purchase as a gift in time for Christmas, click here.